This post is part of KQED’s Do Now U project. Do Now U is a biweekly activity for students and the public to engage and respond to current issues using social media. Do Now U aims to build civic engagement and digital literacy for learners of all ages. This post was developed by Claire Huebler, Bri Pero, Sara Sandfort and Julia Zamora, students in Steve Bachofer’s “Urban Environmental Issues” class at Saint Mary’s College of California. Learn about P-22, Los Angeles’s urban mountain lion, and the journey he took to get to the largest urban park in the United States. To respond to the Do Now U, you can comment below or post your response on Twitter. Just be sure to include #DoNowUPredators and @KQEDedspace in your posts. Headlines abound when a mountain lion ventures into an urban or suburban community. Most people are not thrilled to have a mountain lion, wolf or other large predator in their backyard. Communities may push to eliminate these predators in order to reduce risk to humans, pets, ranchers and livestock. But these apex predators—animals at the top of the food chain—can also be keystone species, species that hold an entire ecosystem together. Protecting and preserving apex predators takes a lot of time, effort and money. How important is it to put resources towards ensuring that they remain part of our ecosystems? Bears, mountain lions, wolves and other predators are often depicted in media and the news as dangerous or scary creatures. Bears are known to cause issues in areas of national parks that people visit. They enter campsites, steal food, destroy cars and sometimes–though rarely–attack humans. 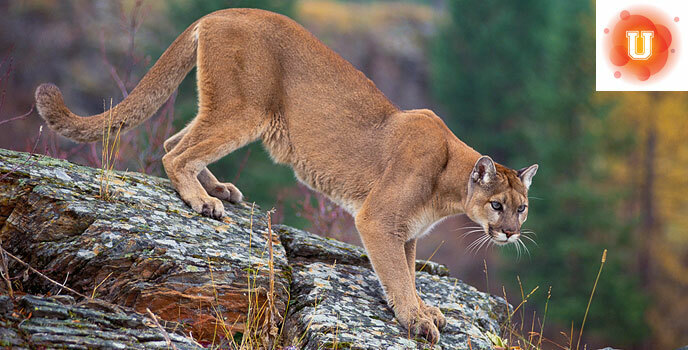 Mountain lions can prey on pets and livestock left exposed and vulnerable at night. Wolves are controversial because of their relationship with ranchers and livestock. Wolves attack livestock, and although wolf attacks on humans are very rare, this doesn’t stop people from fearing them. However, even though predators can be dangerous, they are essential to ecosystems and many people want to protect them. Bears play an important role in forests by dispersing the seeds of the plants they eat. They also eat large amounts of insects. In order to try to limit interactions between bears and humans in Yosemite National Park, the park has implemented an aggressive management strategy. Rangers use paintball guns loaded with mineral oil paintballs to shoot at the bears, yelling and chasing them away from populated areas. Signs are posted in the park to educate visitors about bears, and videos in visitor centers explain to people how to keep themselves safe. Mountain lions play a major role in our ecosystem by keeping the population of animals such as deer and rabbits in check, which helps prevent the overgrazing of vegetation. Currently, mountain lions with home ranges in urban areas can become isolated in due to freeways and other development. Though very expensive, setting up animal crossings over urban highways for mountain lions would not only prevent collisions with cars on freeways (as the animals are trying to cross), but would also allow them access to larger areas to find prey, and to breed with other mountain lions, preventing inbreeding. 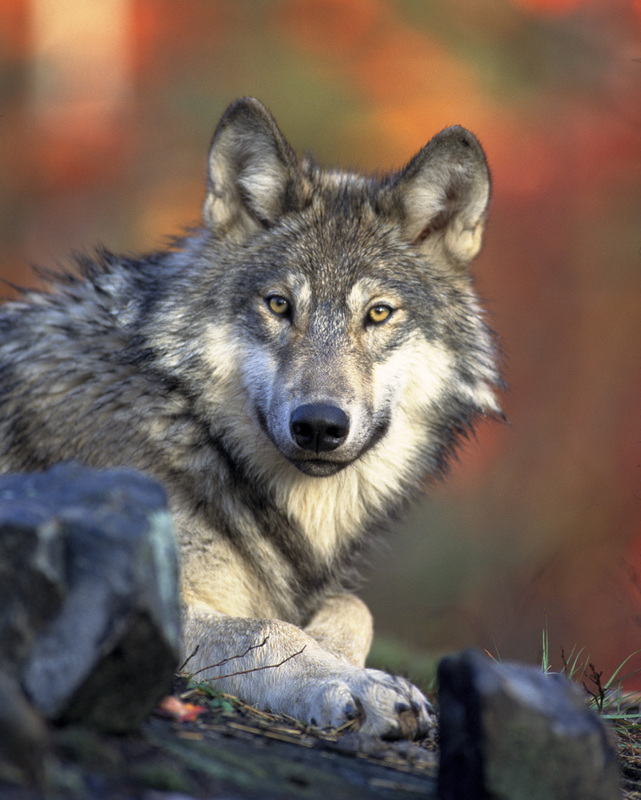 They grey wolf is a keystone species that controls elk and deer populations, which improves the overall health of the herds and protects areas from being overgrazed. This was extensively documented in Yellowstone National Park, when wolves were reintroduced to the park after having been absent for almost 70 years due to predator control programs. In contrast, at Point Reyes National Seashore, where there are no wolves to control the tule elk population that resides there, more extensive efforts have been required to manage the elk, including immunocontraception. In areas where there are wolf and livestock conflicts, some ranchers are trying nonlethal strategies to protect livestock, including guard dogs, movable fencing, lights and air horns. Apex predators perform important ecosystem services naturally. However, as our cities and suburban areas continue to spread out into what were once wild lands, this means coexisting with humans and developing new management strategies. Do you think we can successfully coexist with apex predators? Will we give them enough space and resources? Predators all over the world face similar challenges as their habitat is destroyed and clashes with humans increase. Read about management strategies for lions and Kenya and mountain lions in California. Hear about techniques ranchers are using to coexist with gray wolves, and the diverse group of people working together to develop those solutions. Read about one farmer’s view on wolves. These students might well do better to take a class in Wildlife Biology before writing again. There are too many mis statements of facts to list. Science is not an opinion. As with any incompatible creatures, the best way for them to coexist is to keep a wall of separation between them. That works with any kind of creature, from cougars to lethal bacteria to Muslims. Of course, their numbers need to be kept in check, too. That includes us, whoever you consider “us” to be. Population control is the key to ALL successful wildlife management programs. It even includes plants, anything that breeds. I want to keep a wall of separation between Muslims and Americans for the same reason I want to keep a wall of separation between myself and rattlesnakes. Uncaged rattlesnakes and uncaged Muslims are both hazardous to be around. Considering that with urbanization and deforestation of these predators homes, coexistence is almost inevitable. We are making home in areas that are populated to apex predators and if we want a peaceful coexistence between us and them, safety precautions and respect to their ecosystem has to find a balance. Finding protection is not only sustainable for the existence of these creatures but for the ecosystems they inhabit and we inhabit as well. In a podcast from NPR titled ,” Montana Ranchers Learn Ways To Live With Wolves” a rancher discusses how he removes the carcass of a cow 20 miles outside of his ranch to avoid wolves coming to his property. His efforts in the long term save him money by not losing more cattle but also save the functioning of an ecosystem and species of apex predators. That’s pretty cool that ranchers are willing to put in the effort to coexist. I agree that it’s basically inevitable when we encroach on their natural habitats that we have to learn how to get along with them or at least tolerate and avoid provoking them. I think if possible, we should try our best to coexist with all wildlife, even apex predators. Obviously if the animals pose a significant threat to us then we should take lengths to keep people safe but even then we should try not to adversely affect the environment around us. Using nonlethal deterrents like paintball gun (I’ve heard for larger animals beanbags work) are great. The fact is a lot of apex predators are vial to maintaining the food chains in ecosystems we live in, so we have to find ways to live alongside them, or at the very least deal with them. These animals play an important part in our ecosystem, and we should protect them when we can (sorry for the lack of creativitiy, but I’m on a bit of a time crunch). These animals should be protected and cared for instead of us just building on top of these creatures.They were here first and we should be expecting that fact but,our country so good with that.